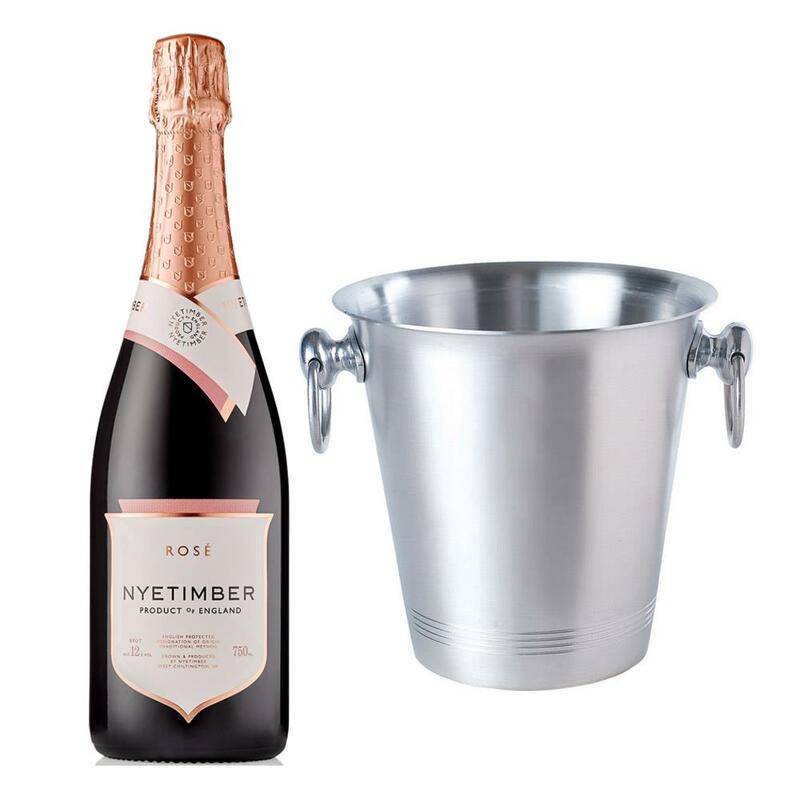 Buy this set and get a full bottle of Nyetimber Rose English Sparkling Wine 75cl packed together with this lovely Stainless steel Ice Bucket. A beautiful, sunset pink colour. Aromas include a charming mix of fresh red fruits along with intriguing spice notes of anise and lavender. The palate has a creamy, round texture with refreshing redcurrant, raspberry and cherry flavours. Suggestions of brioche lead into an elegant, silky finish. This product is hand packed onsite by Champers Direct, and is not affiliated with any other brand. Champers Direct is responsible for this product combination/set.